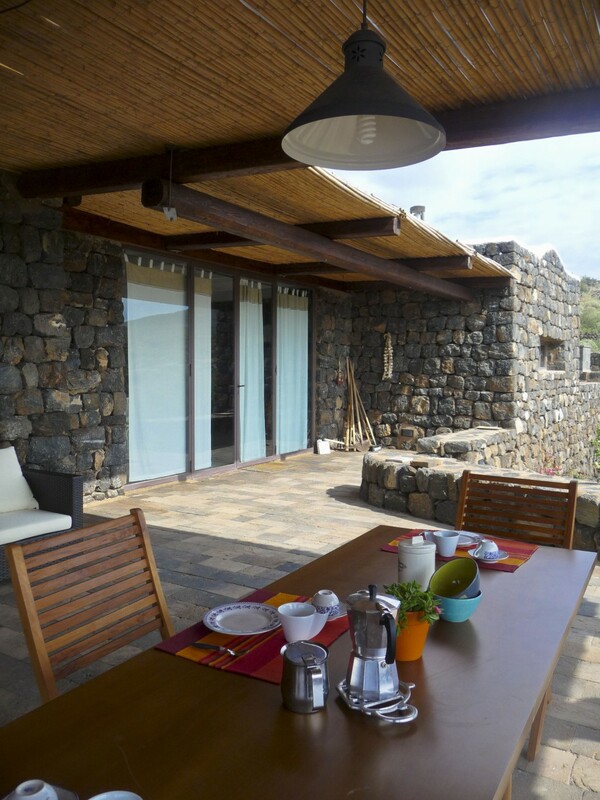 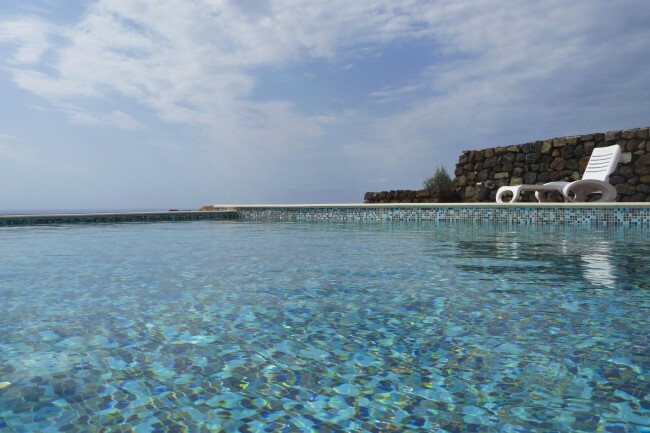 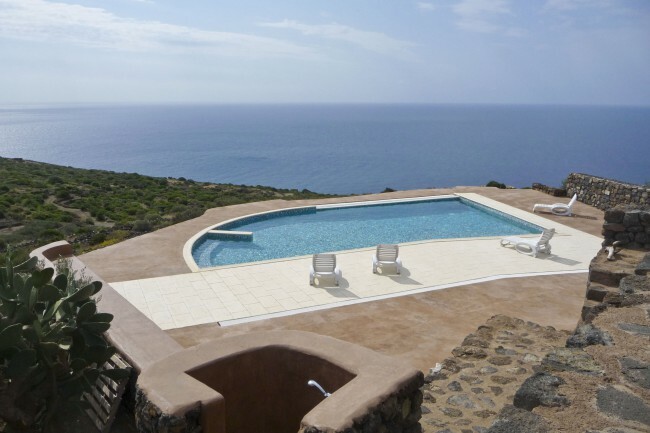 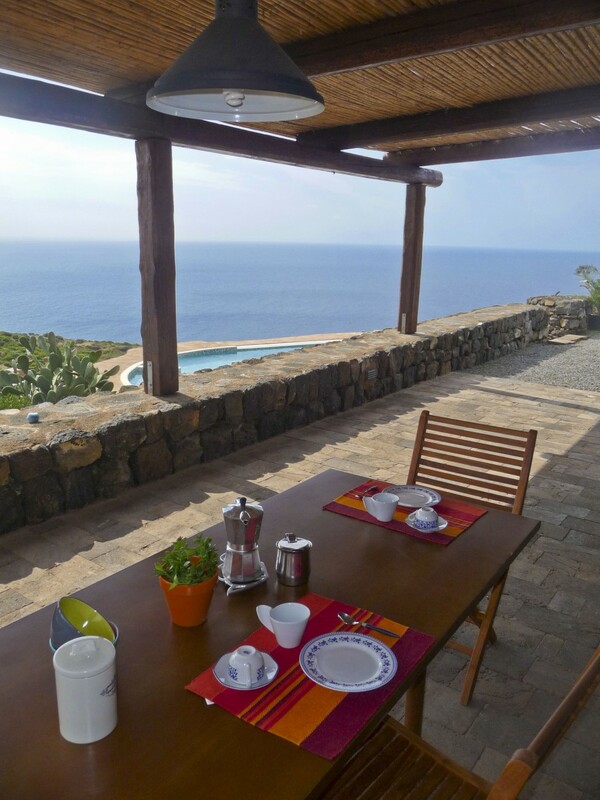 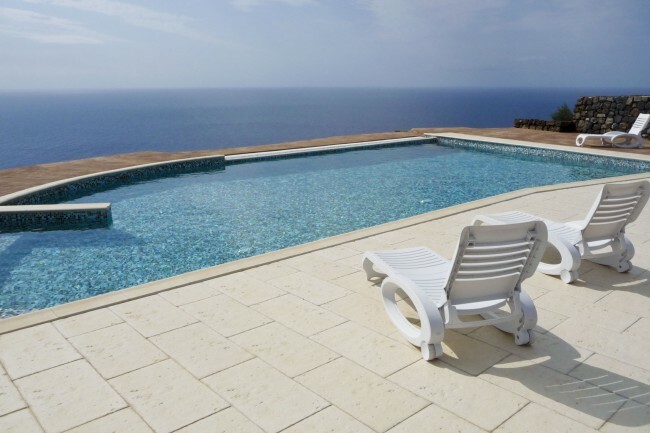 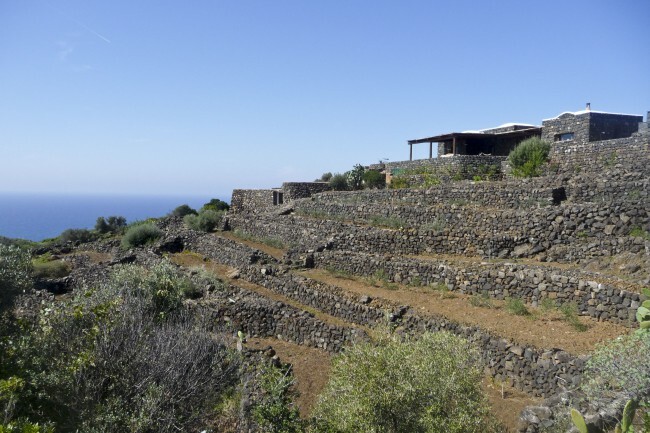 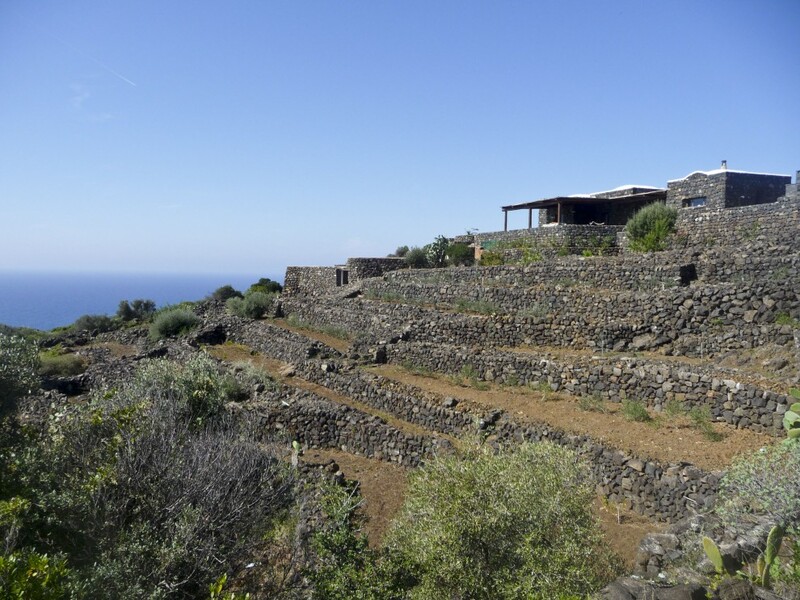 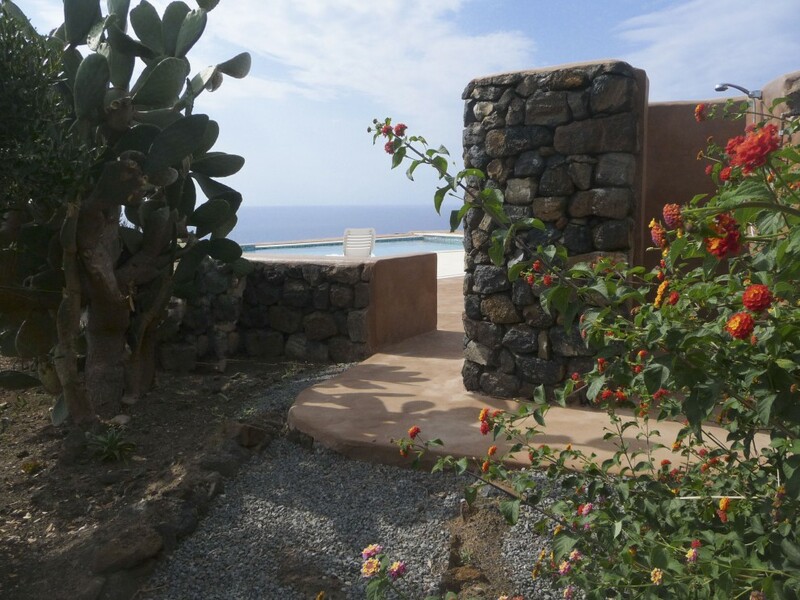 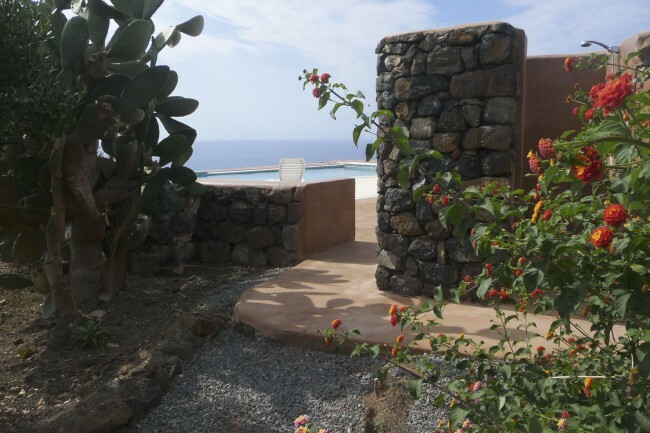 Newly built dammuso with swimming pool, it dominates the promontory on the southwest coast of the island of Pantelleria with a magnificent view. 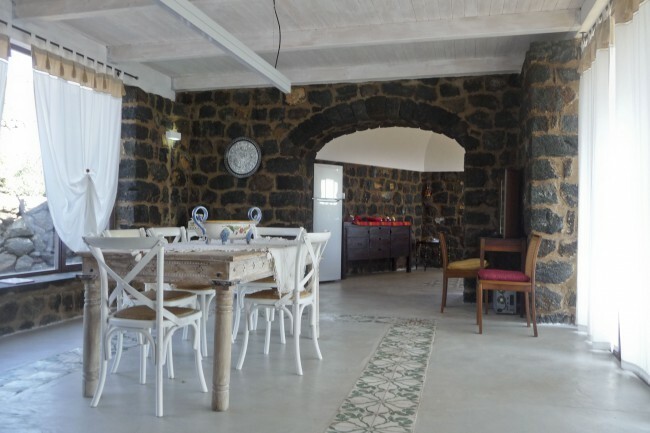 Generous interior space and an exterior that ensures maximum privacy, this is a really nice villa rental equipped with all comfort. 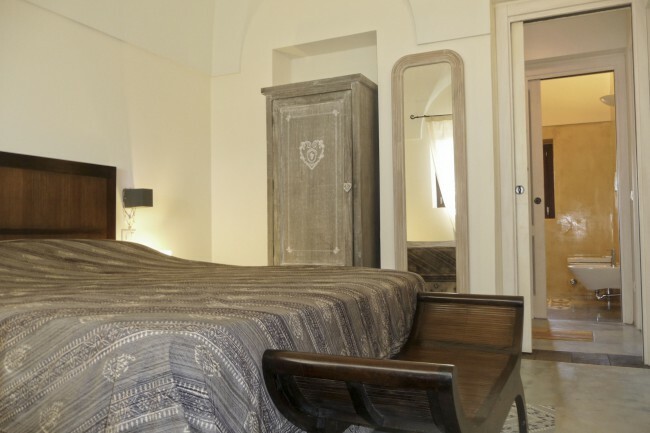 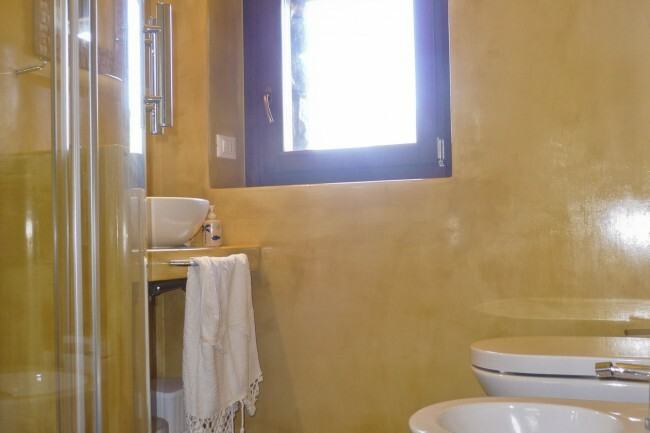 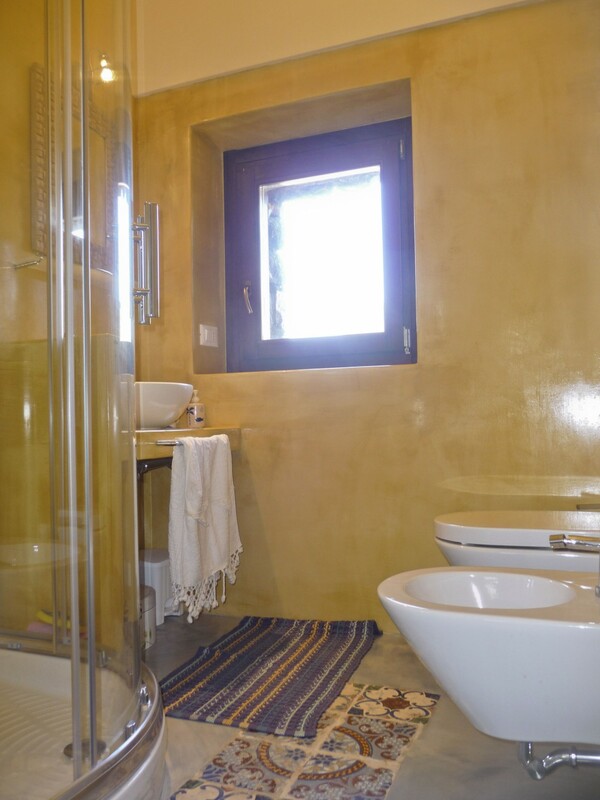 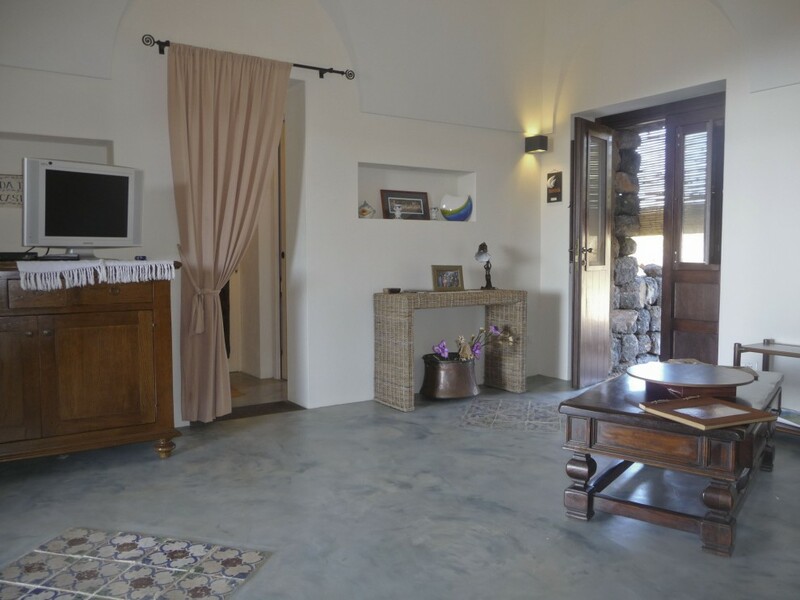 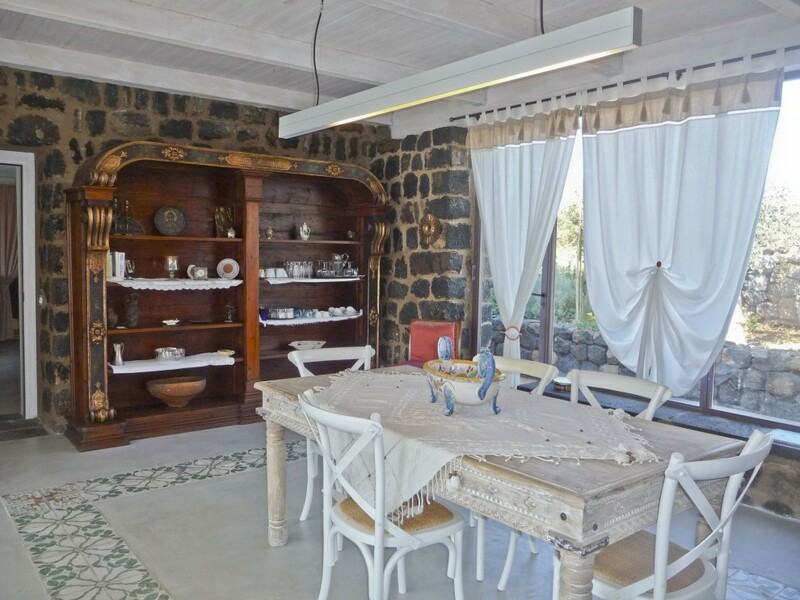 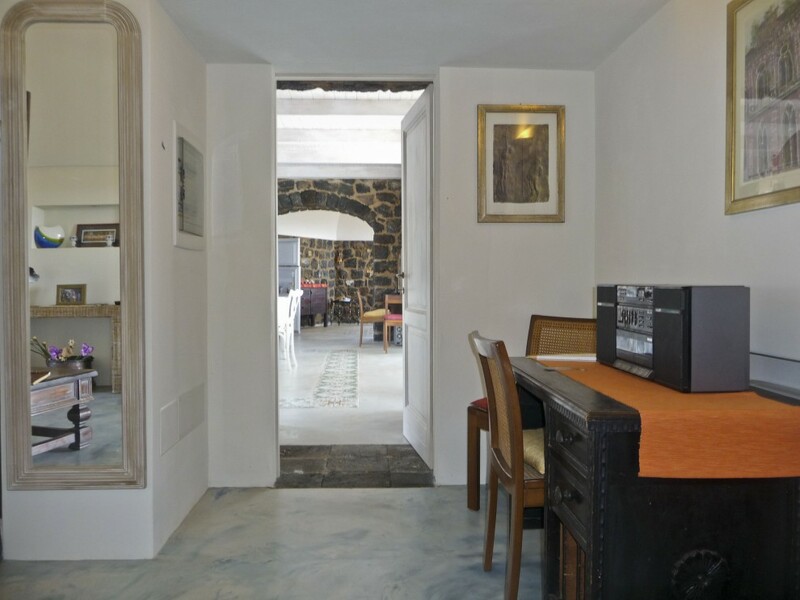 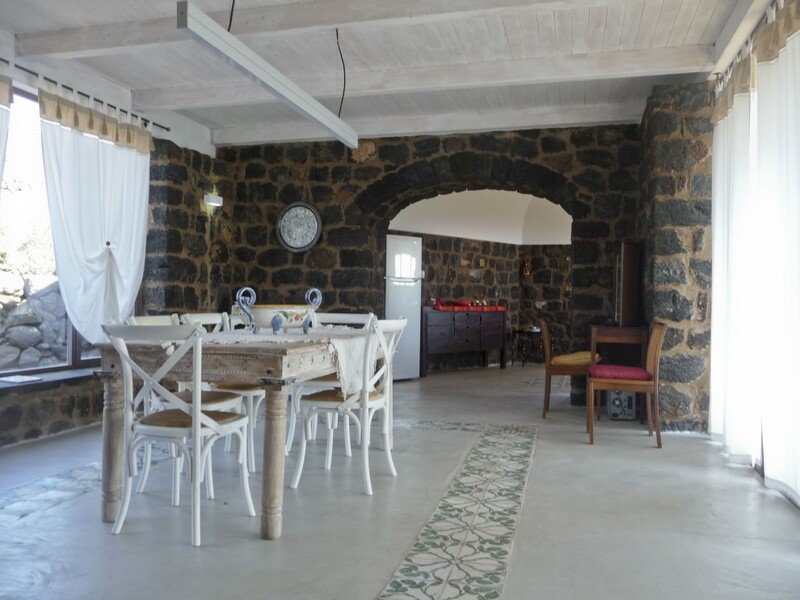 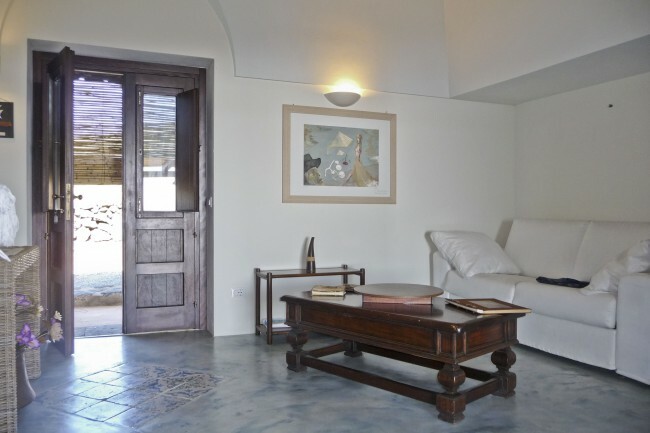 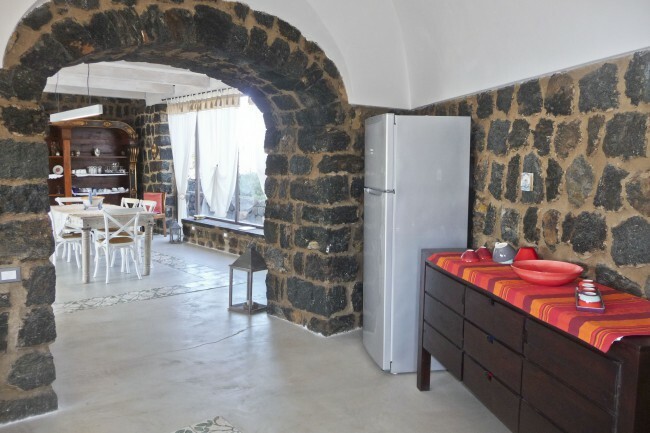 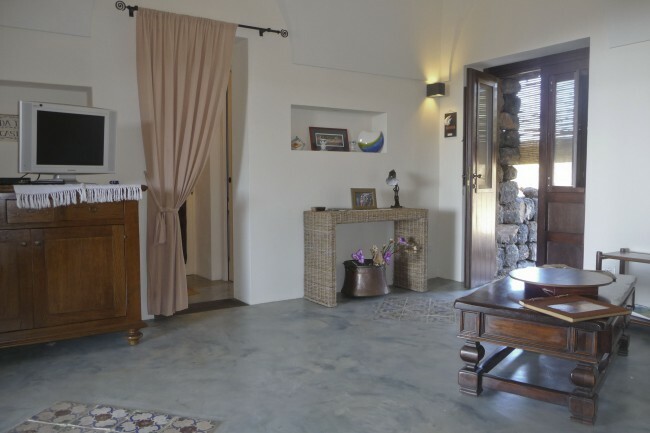 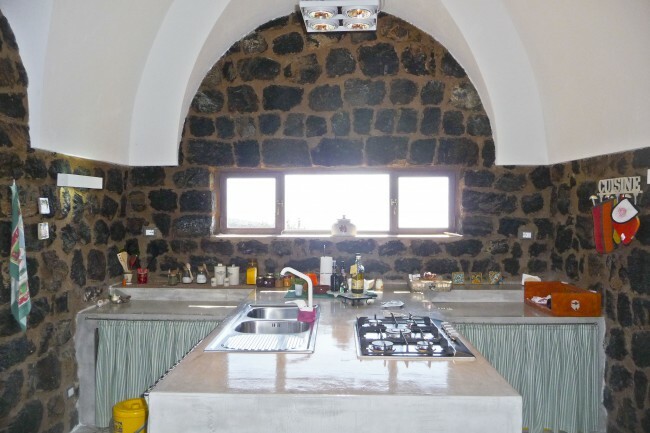 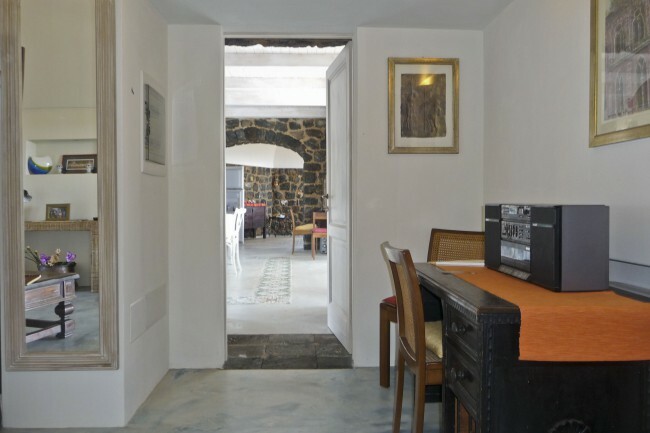 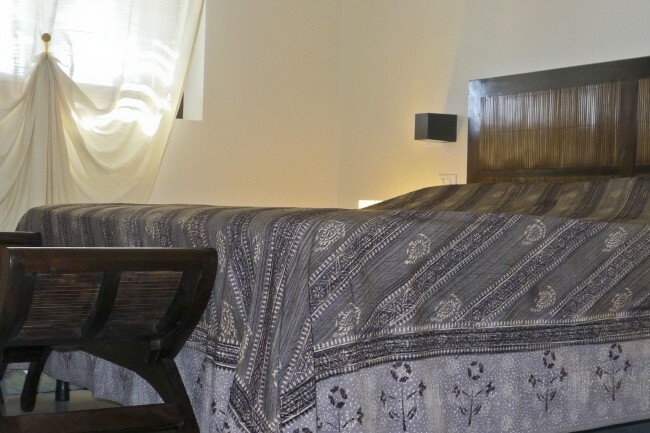 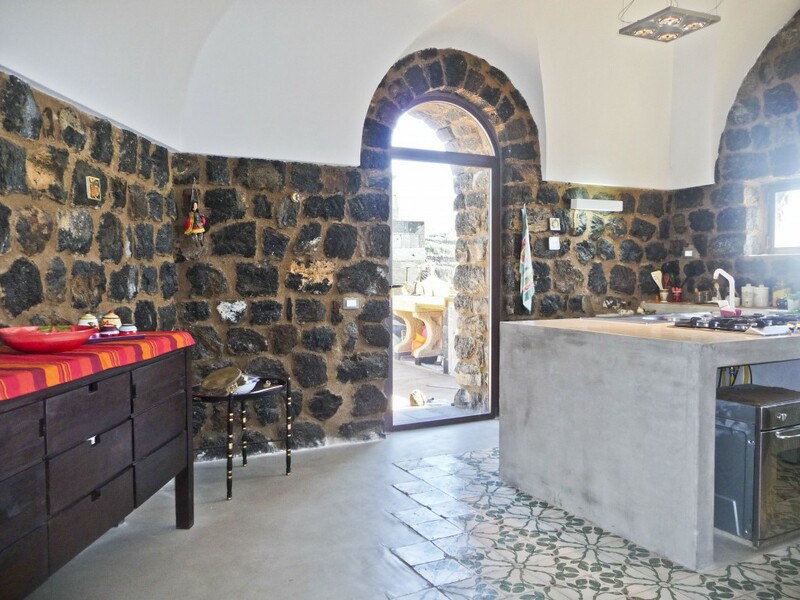 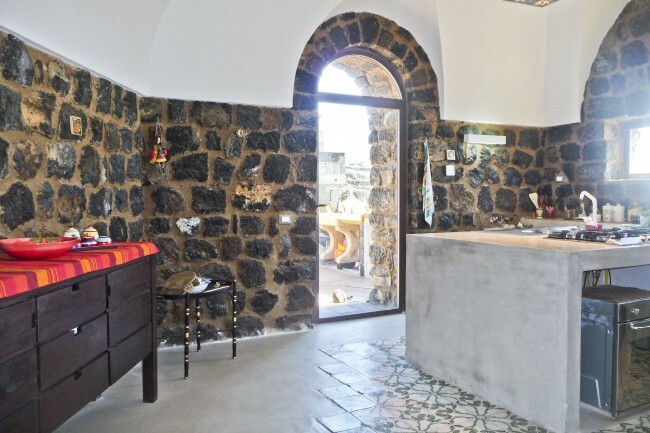 Cozy and intimate, it is a solution for a couple looking for privacy and refined details or for a group of friends enjoying a relaxing week in Pantelleria. 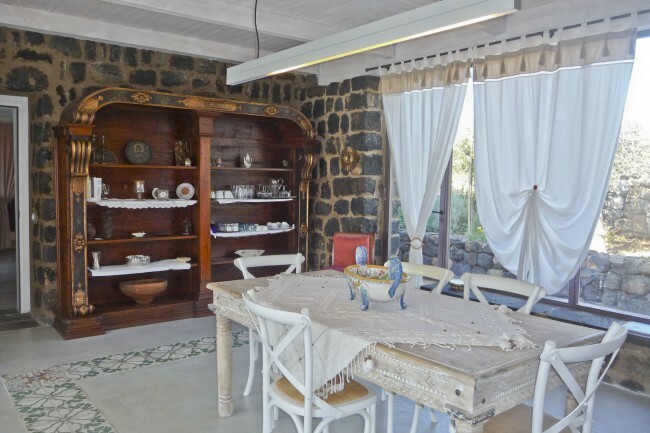 The magnificent stained-glass window of the living room which offers a view into infinity. The cape is a unique natural environment and the fabulous swimming pool is the place to be! 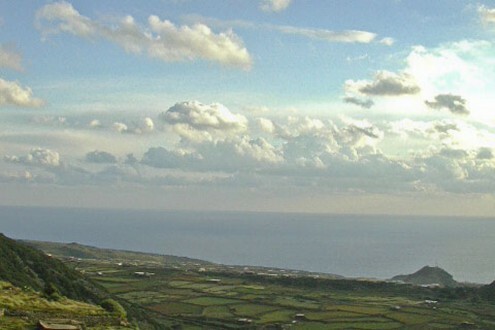 The dammuso is in Rekhale at the end of a promontory that is reached via a dirt road of about 1.5 km and has a private parking. 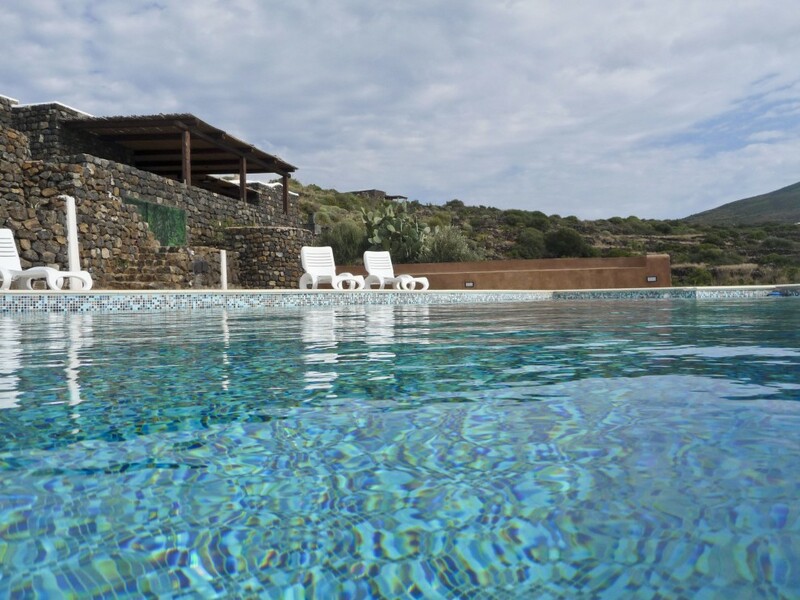 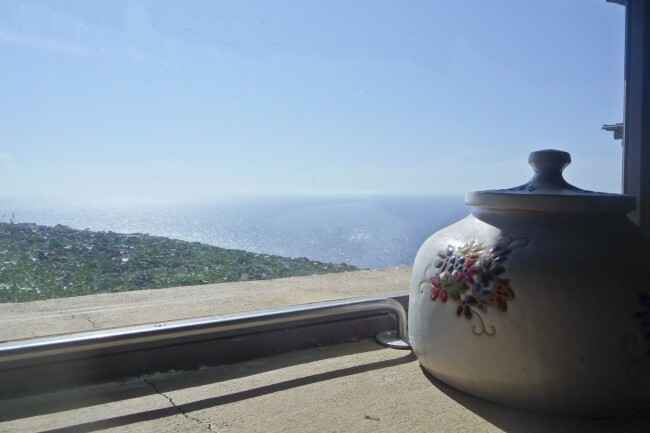 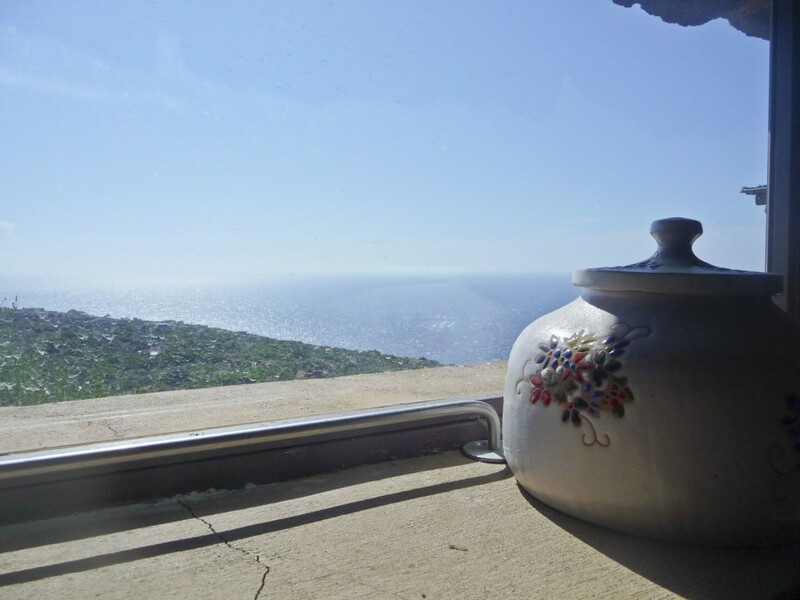 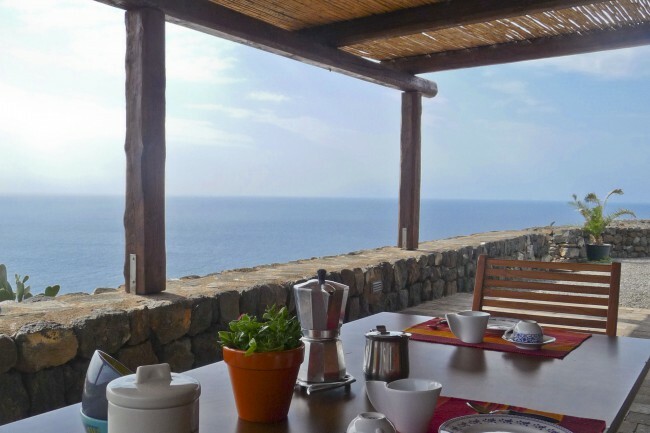 Getting to the dammuso is already a wonderful prize for choosing Pantelleria for your holidays: the view embraces the blue sea and the entire Mediterranean. 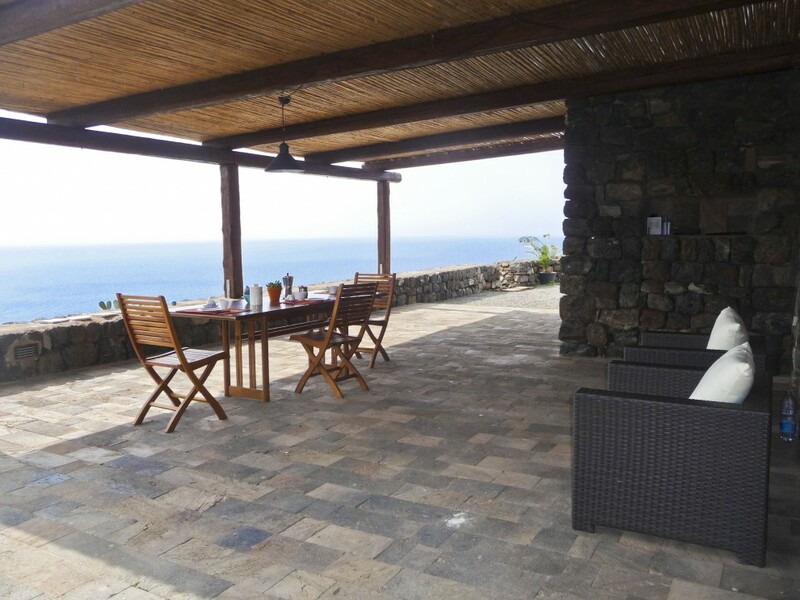 The large terrace is placed just in front of the sea and from here we access the dammuso directly into the living room with sofa and TV. 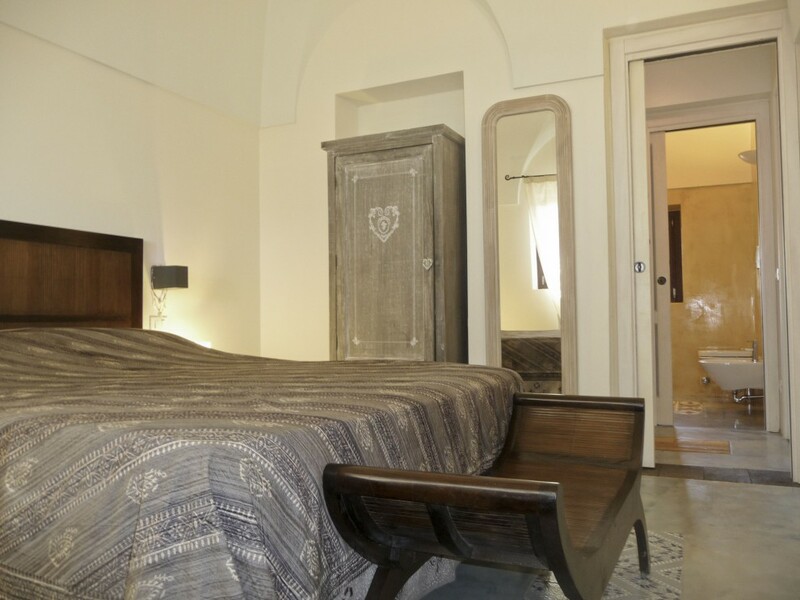 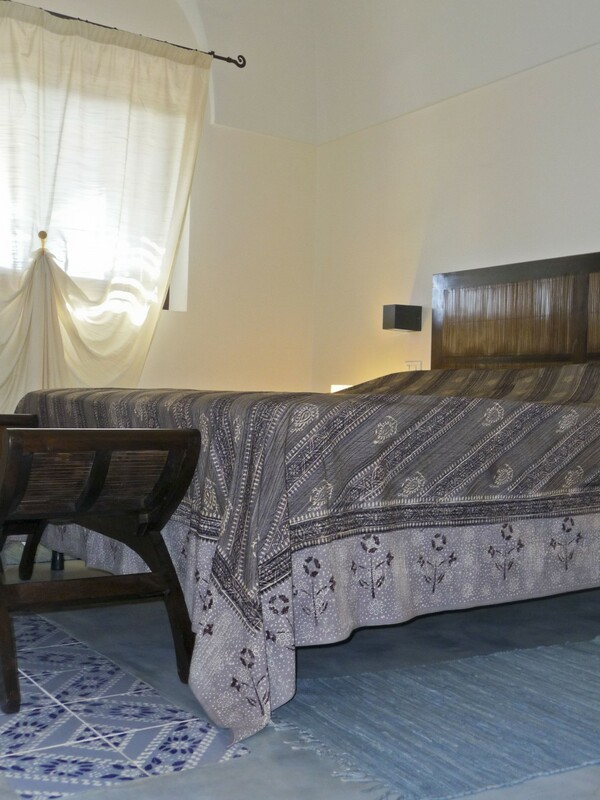 Then we find the sleeping area with a spacious bedroom and a bathroom with large shower. 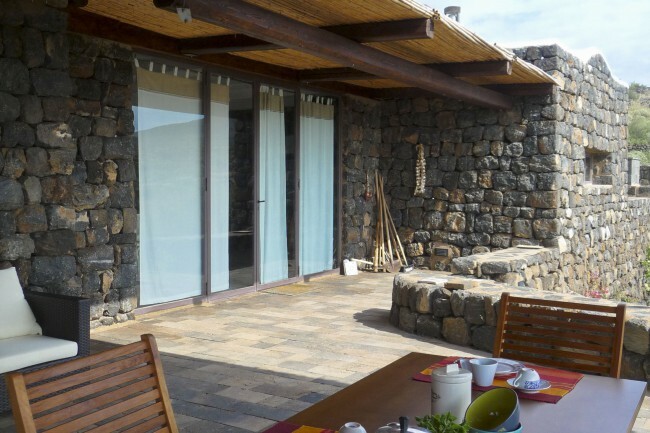 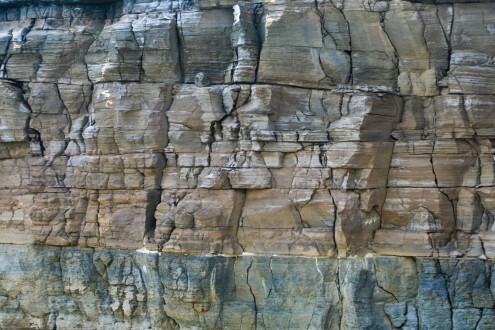 Then there is a beautiful equipped area with a glass wall that ideally projects us towards the sea and the beautiful landscape surrounding the dammuso. 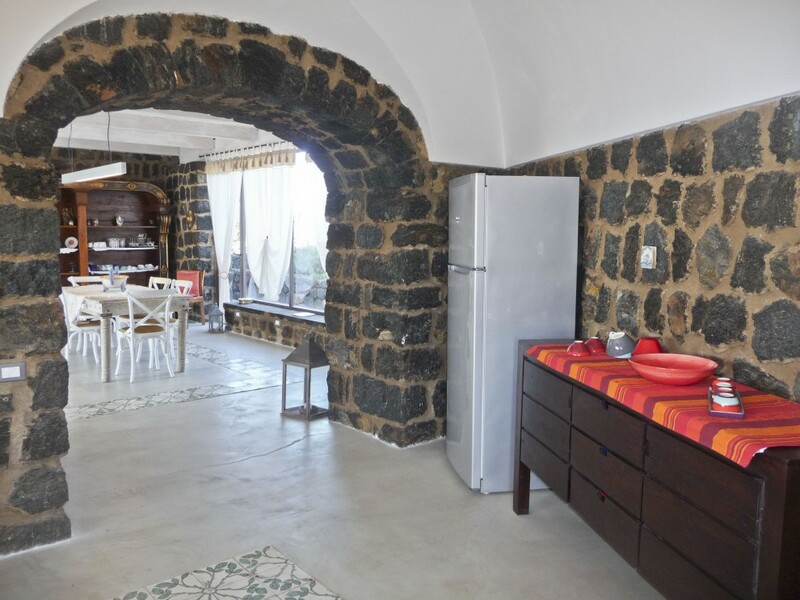 This area is connected to the large fully equipped kitchen and then through a door, to a small outdoor area with barbecue. 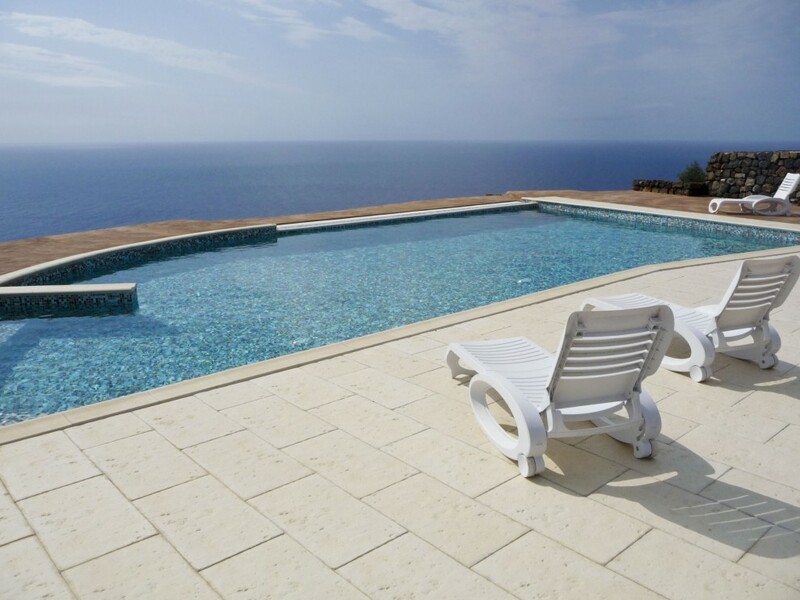 The pool is located in the lower terrace, giving a nice movement to the accommodation facility. 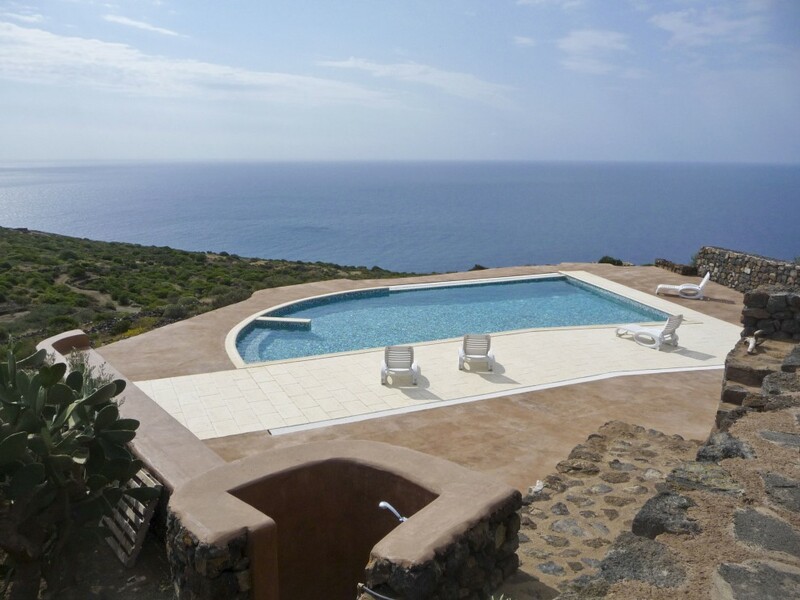 The large pool area offers some A – MA – ZING views and we have serious difficulties to imagine leaving this corner of paradise! 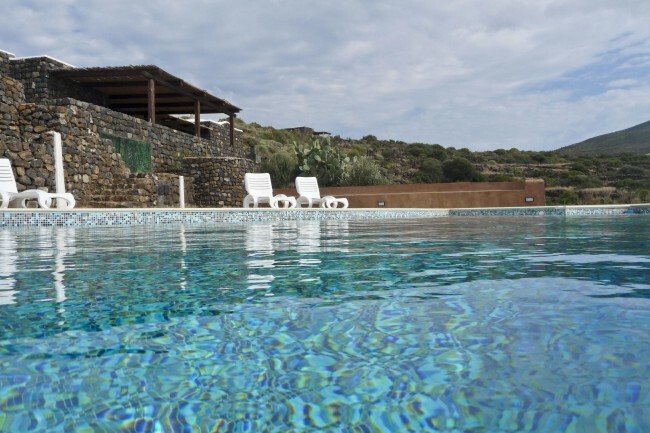 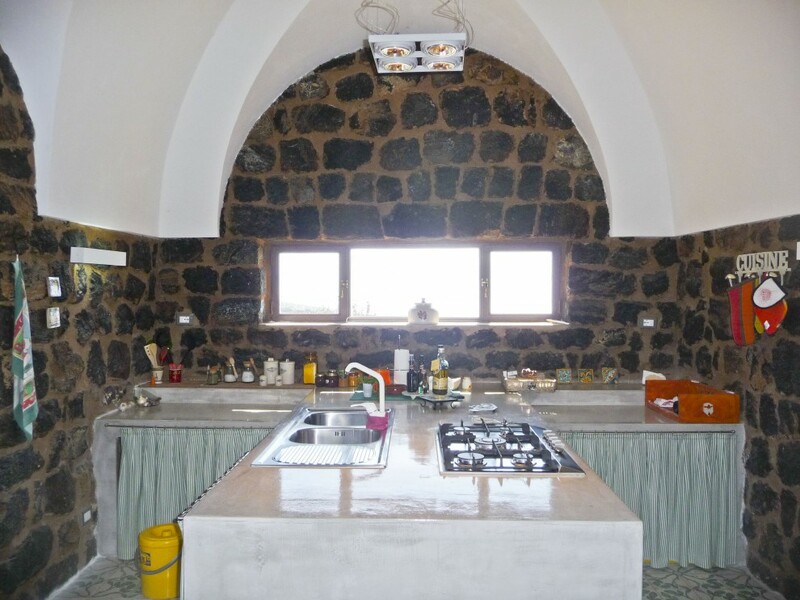 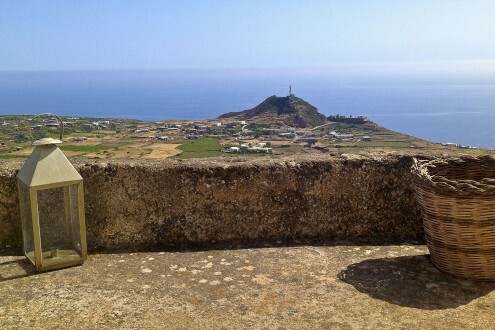 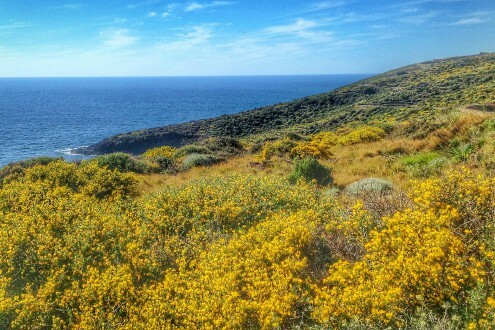 The village of Scauri is about 6 km away and there you will find all services with the exception of banks and gas stations that can be found only in Pantelleria center, about 14 km away. 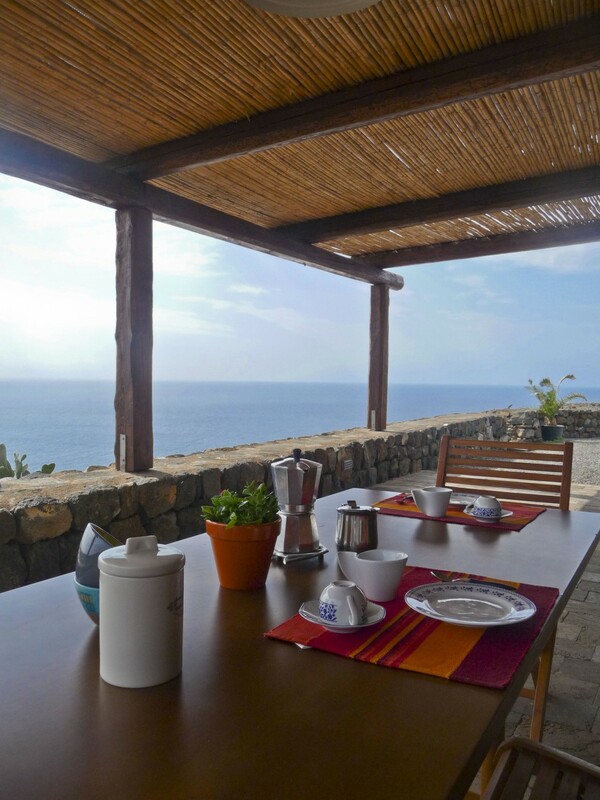 In Scauri you will also find the small marina where you can rent boats and the only restaurant on the beach of the island! 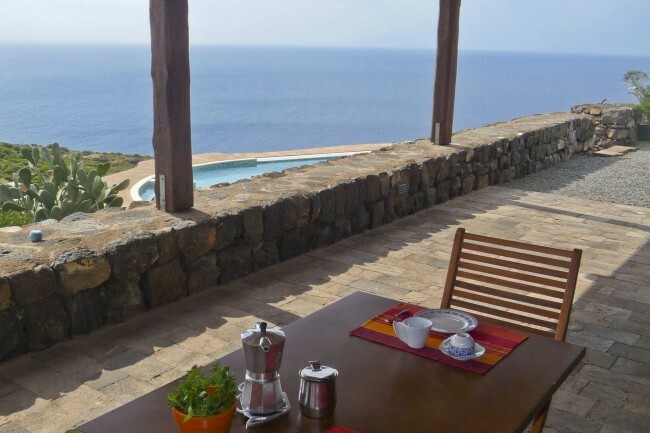 Everything not mentioned under "The rate includes"